Are you on Instagram? I have to say, it’s my favourite form of social media. What’s better than a constant stream of your favourite people’s photographs? You get a peek inside someone’s life, little snippets of their day. The interaction is fun too. Scrolling through the feed is one of my favourite ways to pass time when I need a little distraction. I mostly like to share recipes that I’m testing, meals, or some behind the scenes blog, book, and photography stuff. There are also some people, scenery, and travel shots, and of course, crazy Sketchie who is by far the fan favourite. Like when I shared a shot of him playing sabotaging our Monopoly game. Just when you least expect it Sketchie pops out of no where and kung fu kitties the dice across the room! Did I mention that I came downstairs one morning and our entire unfinished Monopoly game was flipped upside down on the floor? Only a cat…only a cat. I’ll be the first to admit that I don’t always bother plating my food nicely when I’m not photographing it; sometimes the only thing I care about is how quickly I can sit down to eat. I throw the food on the plate and that is that. Luckily, vegetables tend to look beautiful anyway (unless we’re talking about mushroom pesto…). But it is fun to put more effort into it now and then, especially when I want to impress the people I’m feeding or to get myself out of a food rut. Give me a colourful plate of food and I’m a happy girl. Can’t you just imagine this bowl being served at a vegan restaurant? Well, why not make it in the comfort of your own home? It looks like it would take a long time to prepare, but it only set me back about 25 minutes of prep time. I simply roasted the sweet potato and chickpeas, cooked some quinoa on the stove top, and chopped a few veggies. It’s pretty laid back and you can tend to other things while it’s cooking. Due to the hummus and avocado, there’s no real need for a dressing unless of course you want to throw some on. My Lemon-Tahini dressing would be great on this, but it's great plain too. Next time you are in a lunch or dinner rut, give this a shot! It’s simple vegan food at its finest. Bowl idea inspired by Deliciously Ella. Preheat oven to 400F and line two large baking sheets with parchment paper. Spread out the chopped sweet potato on one sheet. Drizzle with 1/2 tablespoon of oil or so and toss the potatoes until coated. Sprinkle with fine grain sea salt. For the roasted chickpeas: Drain and rinse the chickpeas and then place on a large tea towel and pat until completely dry. Discard any skins that fall off. Transfer the chickpeas to the baking sheet and drizzle with 1/2 teaspoon oil. Rub them around with your hands until lightly coated. Generously sprinkle with fine grain sea salt and your favourite spices. I like to use garlic powder, chili powder, cumin, cayenne, and salt. Toss gently to combine. Place both the sweet potato and chickpeas into the preheated oven. Roast for 15 minutes at 400F and then remove both. Flip the sweet potatoes and gently roll around the chickpeas. Place back in the oven for another 15 minutes or so, watching closely during the last 5 minutes. When the chickpeas are golden and the sweet potatoes are lightly browned on the bottom and fork tender, they are ready to come out. Meanwhile, cook the quinoa while the roasting is going on. In a fine mesh sieve, rinse the quinoa and then place in a medium pot. Add in 1.5 cups of water and stir. Bring the mixture to a low boil and then reduce the heat to low/medium and cover with lid. Simmer, covered, for about 14-17 minutes (you can check after 13 minutes), until all of the water is absorbed and the quinoa is fluffy. Remove from heat and leave the lid on to steam for another 5-10 minutes or longer if needed. Fluff with fork. Assemble the bowl: Add a couple handfuls of greens into a large shallow bowl. I had some leftover Best Kale Salad so I used that for my base. 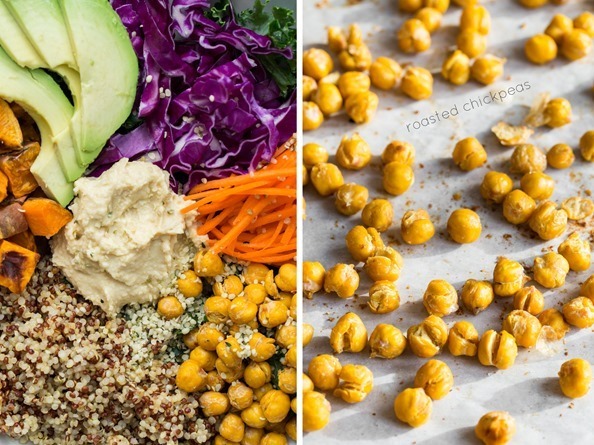 When the roasted veggies and chickpeas are done, allow the chickpeas to cool for 5 minutes and then add them on the salad followed by the sliced avocado, hummus, shredded veggies, and hemp seeds. See picture for how I plated it. Serve immediately and enjoy! You can use dressing if you'd like, but I don't usually bother. If you have leftover sweet potato and roasted chickpeas, you can place them in the fridge. Reheat in the oven at 400F for about 5-10 minutes. Looking for a monster salad bowl? Try The Big Chopped Salad. mmm…I know what I’ll be having for lunch today now. Thanks, Angela! btw, this looks like a really nice recipe, it’s been added to my list! thanks again. If you want to eat them whole, I would probably soak them in water for a few hours first. Yippeeee! Now I know what my dinner will be tonight :). Thanks for the inspiration! Wow, this looks delicious! I think I know what I’m having for lunch now..
yum! this looks great! also, a quick question: where did you get your tree branch silverware?? those are so cool!! This is so beautiful – I almost don’t want to eat it, but that would be silly. And roasted chickpeas are my favorite. Happy 2014! Veggies are so pretty. And I love your fork!! This salad sounds perfect! And it’s so pretty! wow what a beautiful and im sure extremely tasty salad! This looks delicious! We are snowed in right now, but luckily we have all of the ingredients to make that salad (except for the cabbage). I’m going to soak my dried chickpeas now so I can make this for dinner! This looks perfect for continuing the post-holiday clean meals (after overdosing on cookies and other junk for about 2 weeks straight)! Oh this is so BEAUTIFUL! My husband requested we eat less meat and more veggies in the new year (surprising since the only veg he ate was broccoli when we met!) so I guarantee this will be on our plates this week. Love the colors! Well, yum, yum, and yum! I often throw things together like this but this one has mega inspiration, avocado, hummus, and sweet potato included. I love simple, clean food like this. I don’t eat it nearly enough, though! This is such a perfect meal!!! I always forget to make things like this, so thanks for the reminder. Love! Yum! Simple, healthy, and filling. Perfect meal! I love instagram, but I had to unfollow a few people who’s pictures were too “perfect” all the time… I mean, who are they trying to fool? Haha! Love this! Sometimes (usually after the holidays or vacation) all I want is a giant bowl of nourishing veggies. A bowl like this is an awesome alternative to a salad. I’ve been a vegetarian for about nine years, but I’m going weekday-vegan this year and I am definitely going to try this asap! I’ve never roasted chickpeas before but they look SO GOOD. Thanks for the inspiration! This looks delicious!!! I’m going to try and challenge myself for 14 days vegan. Cake work, right? Well let’s see. Yum! This is my Meatless Monday recommendation for my patients and clients this week! 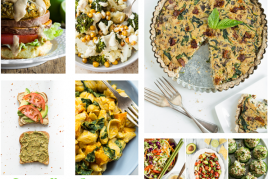 Thank you for continuing to provide delicious and nutritious recipes to inspire health! Beautiful! 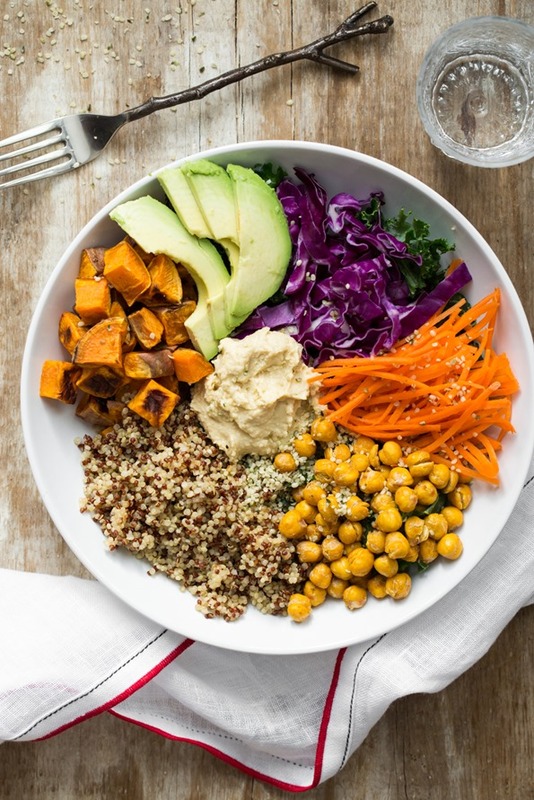 I think your lemon-tahini dressing is a REQUIREMENT on this bowl. Yum! I’ve taken to adding some kimchi to bowls like this… Another delicious & nutritious way to get the good stuff in. My cat also will not let us finish games or puzzles. 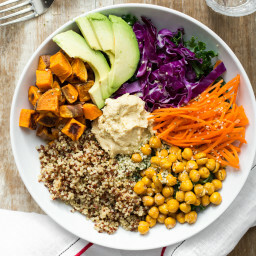 Vegan bowl looks yummy! This is the first time I have commented on your blog! I wanted to thank you for all the wonderful recipes. I have made the homemade twix bars and also the lentil loaf! Both a hit! :) My boyfriend is a hunter (meat and potato eater) & myself (a vegetarian) and I can barely get him to try any veggie type dishes I make. He has liked both recipes and even helped me make them! Looks beautiful & delicious and I just so happen to have the ingredients on hand. YEAH! Mmm this looks beautiful Ange. You know I’m a huge fan of big bowls of veggies! And thank you for giving me yet another inspirational Instagrammer to follow. I don’t know if it’s just me, but Instagram photos seem to be loading really slowly for me lately. Then I get all stressed out about it.. it’s like Instagram anxiety – a new disorder perhaps? ;) Can’t wait to give this recipe a try! Gorgeous! I love doing bowl arrangements also, if the time permits–I got hooked on it after seeing my first ever bibimbap bowl! Hi Anne, Thanks for your lovely comment. I’m sorry to hear about your crappy news. :( I hope things are on the upswing for you soon! big hugs. I love making meals like this! So many delicious, nutritious components in one bowl! Plus lots of different textures and flavors! The best! Yum! I wish I could find something like this at a restaurant! I’m always left ordering a side salad and a baked sweet potato! i’m DEFINITELY going to make this. I am trying a no oil vegan diet and because this looks so good, I wonder if I could roast the chickpeas and sweet potato w/o oil, instead brushing them now and then with a little veg broth? Lovely healthy combination of vegetables. Thanks for the inspiration. This looks beautiful and delicious. Any tips on how to make such pretty avocado slices? I absolutely LOVE your recipes. My hubby just made this for me to try and lift my melancholy spirits, and now–voila!–I’m feeling better. Your food is good therapy! I’m a big fan of instagram because I get to see what my blogger buddies are doing outside of food. 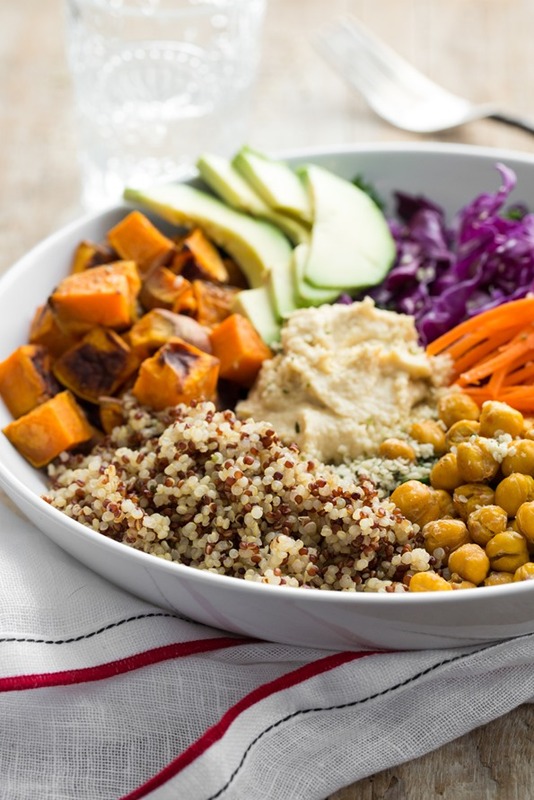 It’s nice to get a fuller perspective on their lives :) This vegan bowl is amazing! 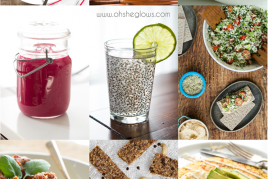 Love that it was inspired by instagram, and love all of the delicious healthful ingredients! I wish some of the restaurants in my area would carry a vegan bowl like this! Is it to much to ask for a big bowl of veggies with some beans and grain!? Hi…I’m wondering about the hemp seeds. Do you cook them or prepare them in any way? This is my ideal meal- a little sample of everything. 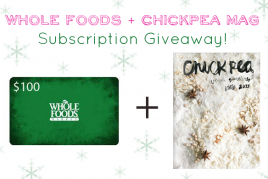 I’ve never tried roasting chickpeas, but I love the idea! WOW, this looks SUPERB! I can’t wait to try this! I used to be the biggest salad hater and now I’ve tried a few good recipes I love them! I’m making your Best Shredded Kale Salad for a dinner party tonight, I can’t wait for my friends to try it. I wish I had Instagram but I’m still dragging around a silly old Blackberry and my contract doesn’t end till May… but when it does, I’m getting a phone with Instagram. It looks like such a fun way to share photos. This vegan bowl looks so delicious,filling and artistic! Can’t wait to try it. 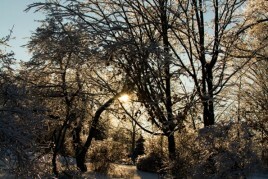 I hope you enjoyed your holidays and are surviving the cold! This looks like a big bowl of goodness. I’m definitely striving to eat this way more often in the new year. I just found your blog!!! It’ s very interesting!!! Cool photos:) Today on my blog pineapple: ) My parents always told me not to play with food, but by looking on food photography, I think they might be wrong. For me food, is always one of the greatest inspirations, very tasty inspiration: )!!! Do you also think so? That bowl is everything I could ever ask for in a vegan meal! Yum!! This looks fabulous and I have almost everything on hand. I plan to make this this week. Thanks!! SO delish! It’s -30 here today so I wanted to make something warm and cozy… but I just had to make this instead! We all loved it and my three year old asked me if I would make it again! :) Thanks! Angela – can I ask where you got this knife and fork set from? Its SO cute, I’m in love! Your meals always look like a dream too, absolutely loving your blog! If you ever come to Portland, it is a MUST to visit Blossoming Lotus’s restaurant – vegan/vegetarian, raw, organic everything that is delicious! They make stuff similar to this but I have to say – yours is even better than that restaurant! 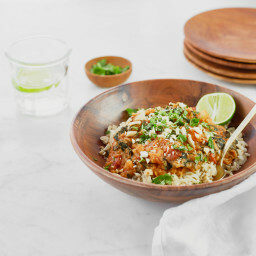 Definitely will be trying this bowl for dinner sometime soon! Can I ask, however, what does hemp seed taste like? I agree. Quit Facebook? Meh, sure. Twitter? I don’t even have an account. But you can bet I’ll be checking Instagram posts! And this Vegan Bowl is definitely Instagram-worthy. Beautiful! I made this tonight for me and my husband and it was scrumptious. I didn’t have any sweet potatoes on hand so I subbed roasted delicata squash. I used a spicy roasted jalapeño hummus and it have everything a nice kick and made a great alternative for dressing. It was almost as beautiful as yours, and so much fun to put together. Thank you, Angela. Again. This looks absolutely delicious! It’s so inspirational because you could technically fill the bowl with anything you have a taste for…but it’s a lunch idea that never really get’s registered! You make it look so appetizing too. I’m not actually a veggie but I pretty much only ever eat vegetarian food! 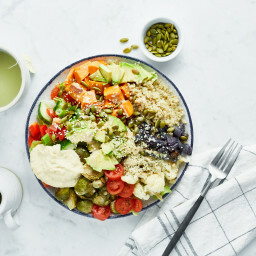 This looks like a freshly harvested buddha bowl with a twist. Cannot wait to try it! Like Lindsay, I also put kimchi on mine. It was fabulous and similar to Kris Carr’s Buddha Bowl. My BB version: brown rice, avocado, tahini, kimchi, walnuts, and a dash of liquid aminos. This looks really yummy!! Thanks! this was delicious – flavorful and filling. will definitely make again! One of the best dishes I’ve eaten. Simply scrumptious! My 21 month old just about licked her plate clean. Where did you get your beautiful fork?! I can’t decide which is more beautiful. the fork, or the meal! I love the fork!!! its sooo cute !!! oh so many of my favourite foods. I have a big roasted chick pea addiction currently so this is perfect. thank you. I made this for dinner last night. It is fabulous! I had this for lunch today and it was DELICIOUS! I made a lentil hummus instead of using store-bought and was packed with flavour. It was so filling as well. Thank you so much Angela! Gorgeous bowl of goodness. I’m so enjoying your inspiring posts. Thank you! Made this for lunch today. My husband and I both devoured it. And did I mention how beautiful it looks? Just gorgeous! This is yet another of your recipes that will be making more appearances on our dining table. Thank you! Thanks so much for posting such a great idea! I made this earlier this week for dinner and it was delicious! I have to ask-do you use a special tool to julienne or do you just have mad knife skills? I’m pretty good with a knife but I canNOT do that! This was amazing! I served it for dinner tonight and my picky eater husband ate every last bite! One of my favorite things about being a vegan is how completely gorgeous food can be! I feel like I could just hang this bowl up on my wall as art. It looks awesome and I can imagine that it is so healthy. Looking forward to trying it! I love this recipe! I have made it twice for dinner already and my husband loves it as well. Delicious & satisfying. Quick question though: for the chick peas, is it 1/2 teaspoon or 1/2 tablespoon of oil for? It’s correct in saying 1/2 teaspoon – the chickpeas really don’t need much oil at all. Hope this helps! I had this for dinner today and it was amazing! My four-year old son was watching me make it and was sneaking bites of the roasted sweet potato and chickpeas. Then he made his way to the hummus and lettuce. I made his favourite pasta for dinner, but he wanted the vegan bowl! When I told him that I’d give him a small plate of the veggies on the side, he started crying! He wanted a BIG plate, lol! Thanks SO MUCH for this. This pretty bowl inspired me to be more proactive in creating colorful, good-for-you foods. I roasted sweet potatoes and paired it with some avocado and a salad after my run and it was the most amazing complimentary dish post-workout, encouraging the feel-goods. Please keep up with ideas/recipes such as these for us follow diet-revampers! Looks Amazing!! If I wanted to take this to work for lunch, could i eat it cold/room temperature? Would it be good that way? OMG these bowls look amazing!! Keep them up!! Makes eating veggies fun! Finally will get to dust off the quinoa jar that I haven’t used in months! Could I replace flax seeds for the hemp??? I am wondering where you found the bowls? I have looked everywhere for those perfect shallow and wide shapes and found nothing. :( the presentation is key in this dish I think. Looks so pretty! I’ve been following you for a long time, and I’ve made many of your recipes. All with great success, and enjoyment. But this one is fantastic! Very tasty, quick and with ingredients we had on hand. I’ve purchased your book, and will continue to enjoy them one by one! Congratulations….on the book, and all other major events happening this year! I made this recipe thinking it would be a perfect detox recipe. Oh my god. It was the most beautiful thing I think I’ve ever eaten. All the veggies blend perfectly. No dressing needed with the hummus and avocado. I’m not vegan (yet!) and I absolutely, one hundred percent loved this meal. It is so filling, I could barely eat a quarter of it. Amazing recipe. Amazing website. Just amazing. Did I mention amazing enough? I LOVE bowls…especially when you can prep everything ahead and through it all together in a pinch…which is usually how I roll. Can’t wait to try this combo- I’ve got some lemon kale hummus from the farmers market that will be perfect! This was outstanding and I felt satisfied! Thank you! Okay. This is amazing. A few days (weeks) ago I bought your book and decided to check out your blog. This was the first recipe I made (from either) and it was AMAZING! Even my husband, who thinks he can’t survive without meat, absolutely loved it. Thanks so much! Holey Moley! I just made this for dinner – and not only did I eat with my eyes first, my belly enjoyed it EVEN more! Thank you for posting such great recipes!! I have been staring at this recipe since I first saw it. I am currently enjoying it as I finally made it. It is so wonderful. Instead of cabbage I put in capsicum and for the greens I put spinach. I love this site but this is the first recipe Ive tried. Thanks so much. I make variations of this bowl all of the time and it’s the perfect lunch. Its packed with veggies and protein and the addition of the hummus adds a great texture so you don’t feel like you’re missing a dressing. Thanks for the great recipe! Totally worth it! Loved this recipe, loved the presentation of the bowl – just looking at it was making me drool. Perfect combination of everything. I just didn’t add hummus because I didn’t have any on hand. Roasted chickpeas were perfect, and you totally reconciled me with sweet potatoes. Thanks! So, I had this for lunch today and it was amazing! I used sun-dried tomato hummus and a little Italian salad dressing! I was sad it was gone. I was also extremely full after eating it. This might be the most genius big bowl of vegan ingredients I could ever think of, and it motivated me to make my own hummus. I know it’s crazy, but, this bowl may have changed my life. It’s definitely one of my favorite things I’ve ever made. Thank you so much! Doesn’t it taste bland eating all vegetables after a while? I’ve been slowly making more and more of your recipes and trying them out with my girls too. One thing I wanted to ask is where you get your bowls from? I’ve been looking for something similar everywhere I can think of so that I can plate everything and yet still keep things separate. Sometimes my picky eaters get bent out of shape if too many things are mixed up. Any thoughts on making this with dried chickpeas rather than canned? This is SOOO delicious!! I could eat this every day!! I’ve made this a couple of times now and I find this so hearty and appealing. I haven’t tried the lemon tahini dressing but the hummus and avocado give it enough moisture for me. I’m sure the dressing is delicious but I’m too lazy to make it! I just roasted chick peas with cauliflower earlier this week and it was also amazing! You could easily sub cauliflower for the sweet potato in this recipe if you wanted something a bit different. Thanks for all your great recipes! I just put the 5-minute oatmeal power bowl together while the quinoa was cooking so I’ll be trying that in the morning! Hi! I love your website, I’ve been making a lot of vegan dishes and using them as inspiration for other dishes. One of my proudest moments was creating a vegan bowl based after yours for my friends birthday! Thank you for making so many available for free on your site! Two months ago my neighbor gave me some of this delicious recipe. I made it again last night for supper! My 18 month old devoured it and I, who loves food, have rarely ate a flavour combination soooo perfect. Thanks a bunch…You are now our household go to person for simple, tasteful food! Who knew purple cabbage was soooo delicious? We usually have it cooked or in salads that are covered with vinaigrette! Thanks again! Im making this today :) Out of hummus though – maybe extra avocado! I am eating this right now (minus the hemp seeds)- delicious! Thanks for a great recipe! I love eating this way, but I’m never creative enough to come up with combos myself. I had a bag of frozen root vegetables in the freezer that I’m using in place of the sweet potatoes. And I dressed the cabbage with a little ACV and sesame seeds. I love the combination of textures and flavors. This has been a staple in our house for a while now! Delicious…i have prepared it for some friends as well as a surprise lunch…the skepticals were shocked at how full they felt hours afer! Thank you for this bowl of happiness! Hi there, I’m so happy to hear the recipe was a hit! Do you know how many calories per serving in this dish? Hi Karen, Unfortunately, I don’t have the calorie calculation on hand, but if you plug the ingredients you use into an online nutrition calculator like nutritiondata.com or caloriecount.com (or even a free app! ), you’ll be able to find out what you’d like to know fairly quickly. Hope this helps! I just did the calculation, it’s actually surprisingly many, if you count this dish for two portions, then its around 700 kcal per portion, that’s a lot for just one meal. Think I will cut this in four. I just went to a vegan restaurant and paid $18 for a grain bowl! If you use the lemon tahini dressing you can just have endless options for what goes in the bowl. Rice or whatever grain on the bottom, lettuce/kale/spinach then whatever veggies or sweet potatoes roasted are lovely. This lemon tahini dressing is great and better than the one on my $18 bowl! The hummus is great too but this is so versatile and it can be anything you want. This is unreal, from a skeptic who thinks that everything needs meat, oh my god. I could eat this all day, every day. This looks absolutely delicious! Can’t wait to try it today for dinner!